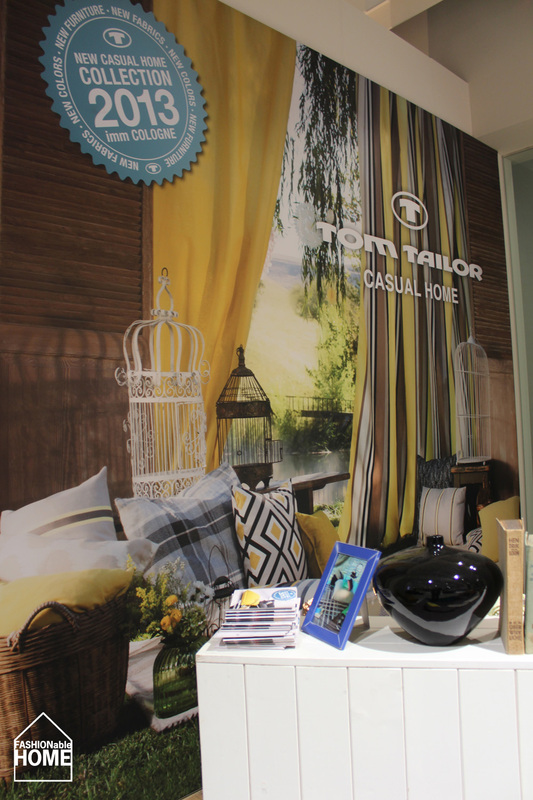 TOM TAILOR followed the brand’s casual story by adding sofas HEAVEN and BUTTON DOWN and bed BUTTON DOWN to the existing line-up. 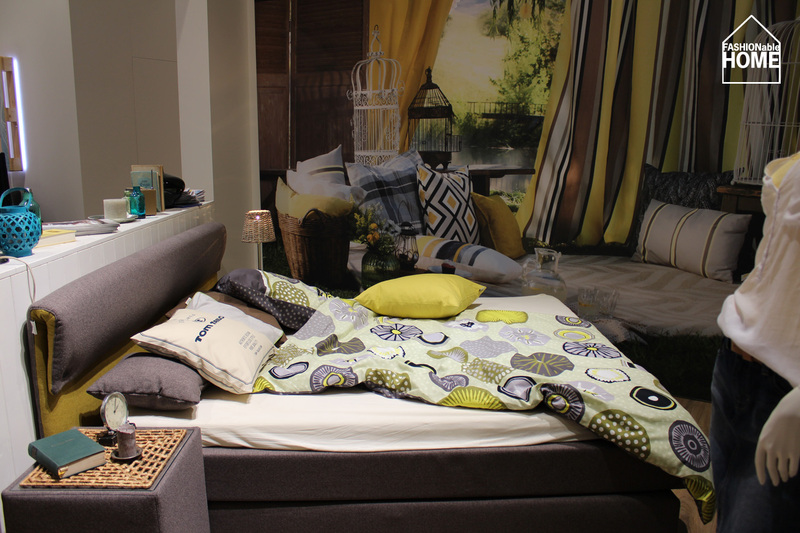 The decoration was colourful (great new cushions in lime) and playful with picture frames, brickwall pillars and large images from the fashion campaign for the upcoming spring summer season. Branded cushions added visibility to the sets in a casual way. A nice and fresh start to the furniture season 2013! Keep it up. TOM TAILOR sofa “HEAVEN” comes in three sizes: “S” (shown here), “M” and “XL”, two cushion styles (“Casual” as shown and “Style” with straight back cushions) and sports an optional sleeping function as well. It can either be upholstered in a two-tone style or in plain colours. A clean and simple system. 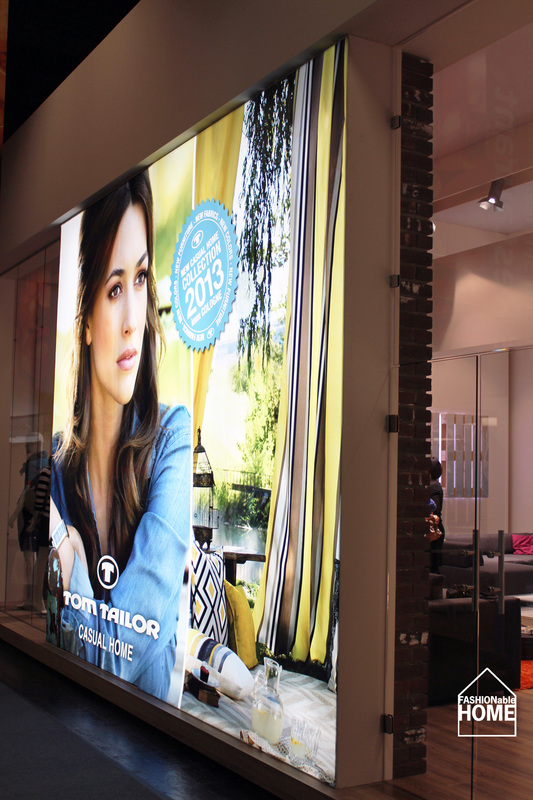 Exterior view: TOM TAILOR fair stand. 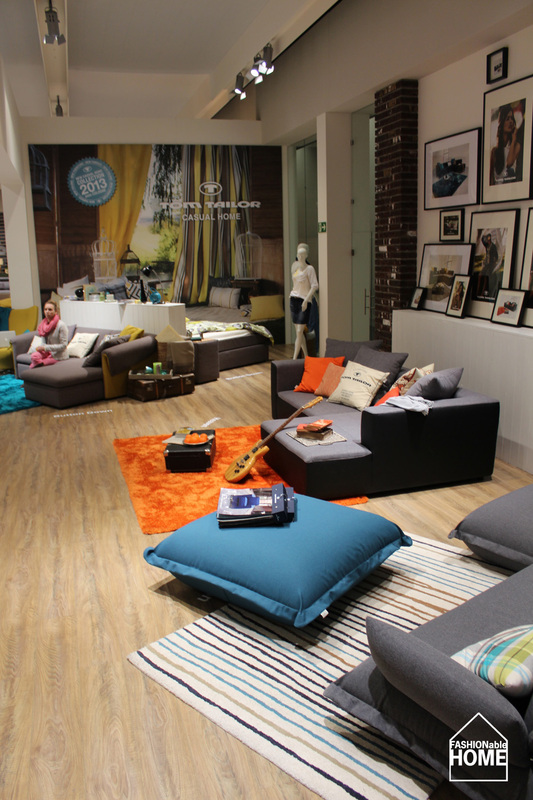 TOM TAILOR Heaven and Cushion sofas. TOM TAILOR Heaven & Button Down sofas. TOM TAILOR Button Down box spring bed. Button detail on TOM TAILOR bed “Button Down”. 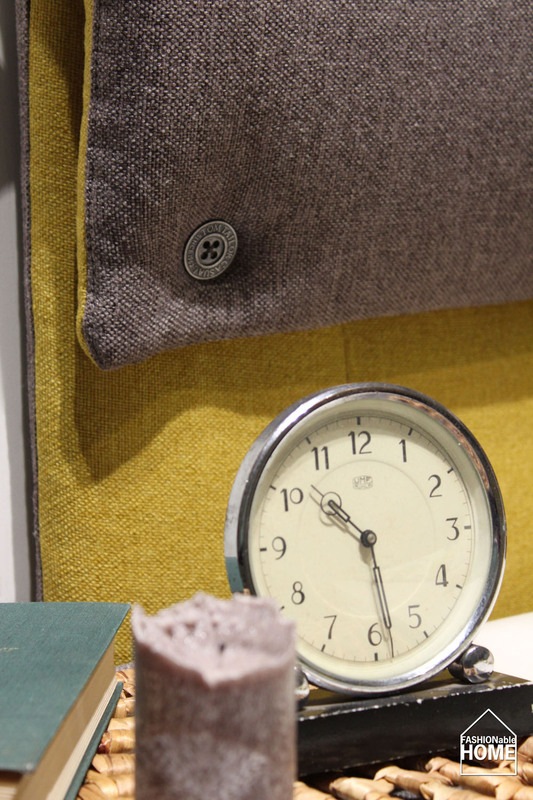 TOM TAILOR Cushion – now with detachable armrests and a new 1,5 seater element. Very fresh look but astonishingly comfortable as well. A great sofa that does not look like a boring sofa. Details of Button Down sofa with folded armrest. 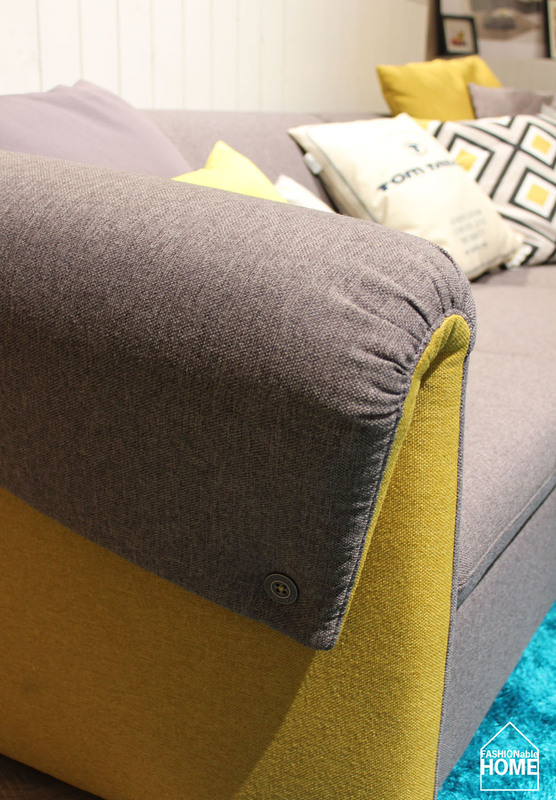 Nice armrest detail: Button Down sofa. 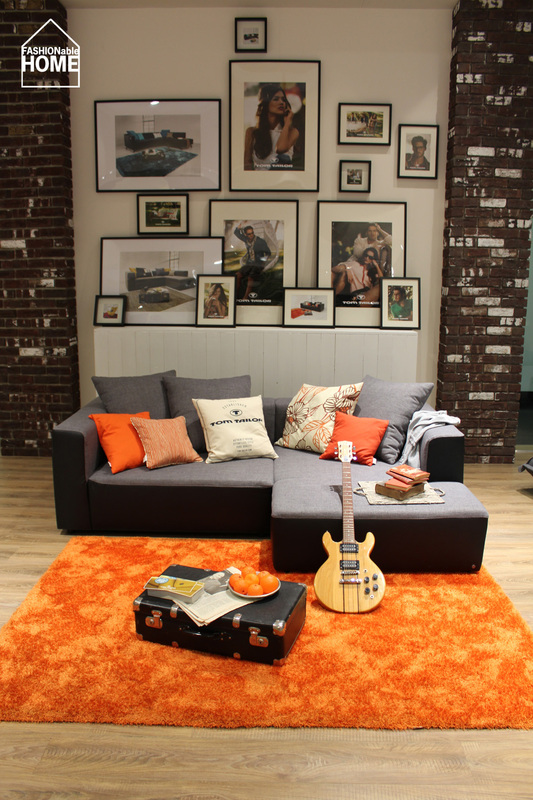 Playful, stylish decoration @ TOM TAILOR Casual Home. This entry was posted on January 22, 2013 by Chef de Cuisine in Fairs, Home Collections, Uncategorized and tagged beds, Furniture, Home collection, IMM, IMM 2013, Sofas, TOM TAILOR, TOM TAILOR CASUAL HOME.